Help me redesign this garden! I have recently finished reading a book about re-wilding and am extremely keen to start my gardening education and introduce some life into my garden. It is a decent space, but to my eyes it's looking a bit bare at the moment. The photos are from before winter, but as you can see there is decent potential there to build on. My level of knowledge is extremely poor, I'm an absolute beginner and everything you see was inherited from the previous owner. On one side, there are some bushes and plants which seem to be thriving. At the back, there are three narrow trees which, to my eyes, do not look in good health. On the right side, just a bare wooden fence which I would either like to add a climbing plant to or replace with a hedge, perhaps. The grass is poor quality and only grows in patchy areas. What I would like to do is start a fairly long term project to make the garden a bit of a wildlife haven. I don't mind if this involves turning it upside down and starting again but I suspect I can build on what is already there for a start. This will be a project over time. My problem is - where to start? I want to ensure all the plants are native and I have no interest in it being an over-pruned decked garden devoid of all insect, bird life etc. I want it to be quite the opposite, in fact. I will keep the area with the seating but otherwise everything is up for grabs. Are there any books or resources you would recommend? 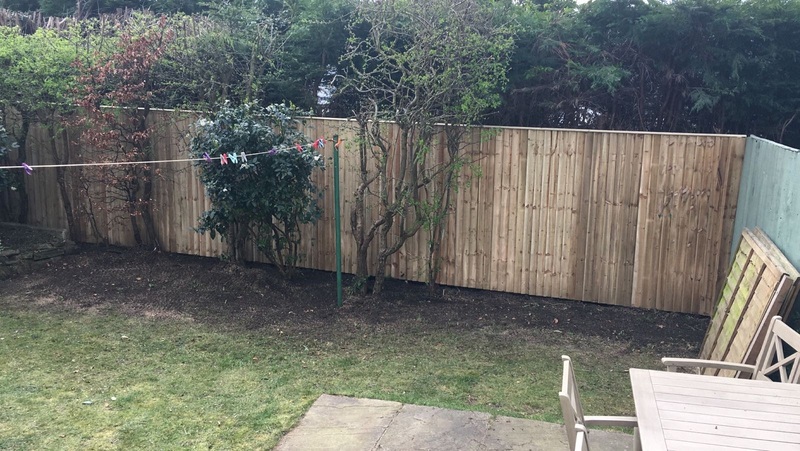 There is a corner with a space for a tree to be planted in the right - but which kind? Any ideas, tips and inspiration would be very gratefully received. 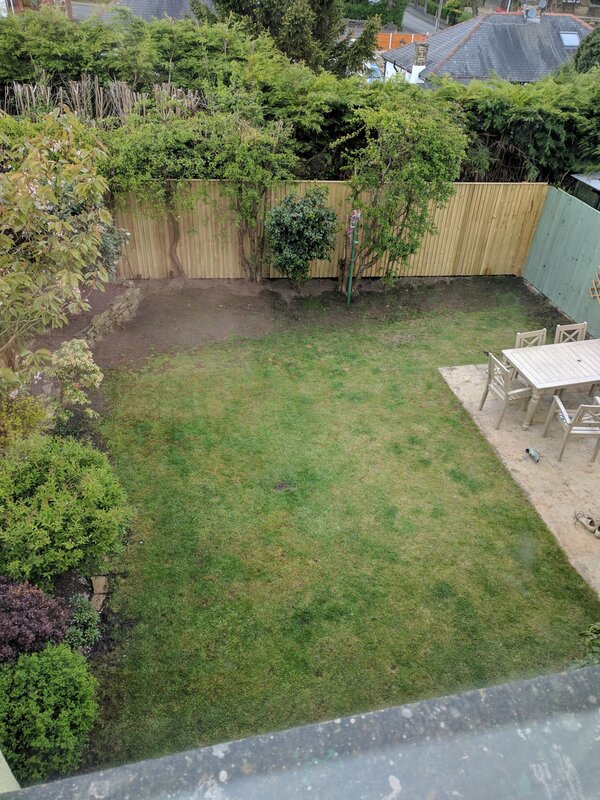 Firstly you have to bear in mind which way doeS the garden face, what is the soil type, are children going to be using it, have you got pets ie cat or dogs, and how big is the garden exactly?, photos can be misleading and spaces look larger or small than they are. then make a plan of your garden incorporating thease features if they are logical. It's a west facing garden, no children but we do have a cat and a dog. Soil type? I am not sure that is something I can spot easily as a beginner! It's a great space, you can do a lot with that. One thing that springs to mind, while you've still got access to the fences, is to make sure there is space on at least two sides for hedgehogs to get through: https://www.hedgehogstreet.org/help-hedgehogs/link-your-garden/ Gaps only need to be small, so your dog - depending on how big it is - should still be containable. If you want the existing plants / trees identified, you need to post some more close up photos of leaves / flowers / habit. As far as your soil type is concerned, have you done any digging at all? What was it like? Dfficult? Easy? Loose? Compacted? Wet? Dry? How far down could you / did you dig? Did things change beyond a certain point? Etc. The RHS encyclopaedia of gardening will give you a lot of basic information. I know it's an old fashioned big book but very useful for basic starters. I still refer to my copy all the time. As for soil type if you are really not sure then you can google soil types in uk & even by postcode so it should tell you. Much more fun though is to do hand texturing (pick some up & give it a squeeze- not too hard). Does it stay in a ball-- Clay -loam, or does it fall apart easily -sandy, are there lots of stones in it are they smooth & round or sharp gritty ones. Take a little bit between thumb & finger rub it how does it feel- smooth and silky Loam- silt. Sticky -clay. Sharp & gritty -sandy gritty. You will be surprised at how accurate this method can be, look up this. Actually AT's series on how to be a gardener would be another great place for good info. This is already super helpful, thank you. Exactly the kind of pointers I was looking for. I might be on here a lot, I'm afraid. I'll sort the hedgehog gaps out and get some close up photos taken. I am in a similar position. I have spent a couple of summers seeing where the sun goes, how waterlogged areas of the garden are and putting in simple infrastructure (shed and separate woodshed). 2birds. As big a variety as I can attract. 4 minimum maintenance...I am not really a gardener and want stuff as natural as poss. The plan is to encourage wildlife so that I do not need slug pellets cos hopefully lots of them will be eaten by the birds and frogs. (hate slugs and snails...) The woodpile helps for insect homes so putting a small pile of wood somewhere in your garden is a good start While You Figure Out What To Do. I am now at the point of knowing the garden and where the sun and stuff is, to begin ripping out the majority of the massively overgrown\old plants, keeping the useful ones where possible and doing some new replanting. As I tend to the lazy side, I am having most of the lawn replaced with wildflower meadow turf with just a bit of lawn by the front of the patio. I am hoping this will bring in insects, bees, birds, require minimum maintenance and come up every year (assuming I maintain it properly and it sets seed). Hopefully it will have the added benefit of looking nice too. I am also replacing the old broken pond and making it a bit more frog friendly. I have spotted field mice in the garden but no hedgehogs so will cut a few holes in the fence as recommend above. two things I did from the outset were the woodpile (does have lots of creepy crawlies in it) and something for birds - a feeder and a bird bath. Books - easier to trawl through than the Internet. visiting garden shows. Done Harrogate spring and Autumn flower show, great Yorkshire show and Scottish Garden show. Got Tatton Park , Hampton court and Chelsea on the list. It was money well spent in terms of suppliers, information, inspiration. Also go visit gardens - dawyck gave me some amazing ideas, the Cornish ones on holiday were too tropical, look at what your neighbours have growing. find your local independent garden centres. They are knowledgeable, helpful, have plants suitable to your area and refund happily if a plant is not up to scratch. Remember a weed is simply a plant growing where you don't want it to grow. 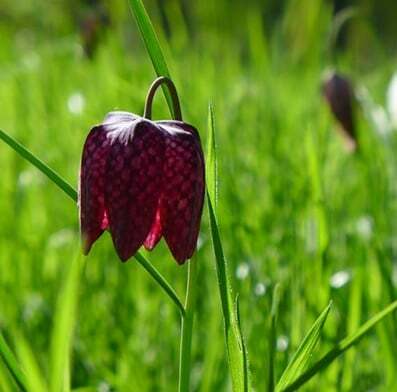 And check the RHS website to make sure it's not an invasive species before planting..
bear in mind that the laziest non gardener can be converted. Gardening is more invidious than giant hogweed or Himalayan balsam. These can be eradicated. The gardening bug can't. It infects you for life. I am doing my best to hold out but it is a losing battle. if you want wildlife the easiest way is to get water in your garden, a fountain, pond, rill, mini stream etc. anything like that will draw in wildlife. Apart from the bird feeder/ bath and woodpile, the universal single pice of advice absolutely every gardener I spoke to gave me, was.....WAIT. just Wait. Nothing else, Just wait and watch what you garden does. cos otherwise you have absolutely no idea what's in your garden. Give it a full growing season , see what comes up and then dig and replant. By the Autumn you will know exactly where your dark spots are, where you want your table and chairs for sun and what stuff is dormant that you don,t know about. and it will give you a season to think, plan and decide exactly what you want and like. I am sure you realise this, but don't cut any holes in fences, unless they are yours. 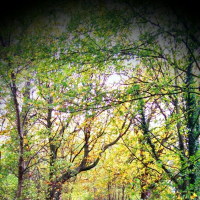 The three light green trees at the back look as if they might conceivably be Hawthorn. Post some pics of leaves as suggested for confirmation, but I think I can see white buds of their flowers in the pic. If so you have got a head start, as they are good trees for birds to nest in, because of their twiggy growth and thorns, bees love the flowers and birds eat the berries. Here's hoping for you! There is a thread on here (about 3 or 4 pages back in New Threads) called 'How to grow a nice meadow' with good advice from others about meadows and a detailed account of the three bits I have, which may help you decide what sort of meadow you want.